A series of MoS2/g-C3N4 heterojunction photocatalysts were successfully constructed by a facile impregnation and calcination method. The obtained MoS2/g-C3N4 composites were characterized by X-ray diffraction, scanning electron microscopy, transmission electron microscopy, ultraviolet–visible diffuse reflection spectroscopy, Brunauer–Emmett–Teller and photoluminescence spectroscopy. The photocatalytic activities of MoS2/g-C3N4 heterojunctions were evaluated under visible light irradiation by Rhodamine B (RhB). Results showed the MoS2/g-C3N4 composites could significantly improve the photocatalytic performance in comparison with pure g-C3N4. The optimum photocatalytic efficiency of 1.0%-MC-4 sample was about 7.7 times higher than that of g-C3N4 for RhB degradation. In addition, 1.0%-MC-4 also retained excellent recyclability and stability, the degradation rate of 86.1% was reached after five recycles. By further research, the enhanced photocatalytic mechanism was proposed based on the trapping experiments and electron spin resonance (ESR) experiments, and the photodegradation was dominant by the h+ and ·O2− oxidation process. This work is also of significant interest for environmental pollutants degradation and solar energy conversion in large scale applications. 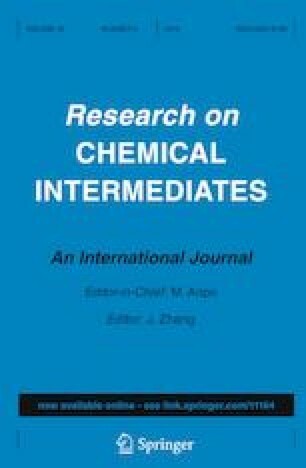 The online version of this article ( https://doi.org/10.1007/s11164-019-03815-2) contains supplementary material, which is available to authorized users. This work was financially supported by the National Science and Technology Support Program (No. 2014BAL02B02).